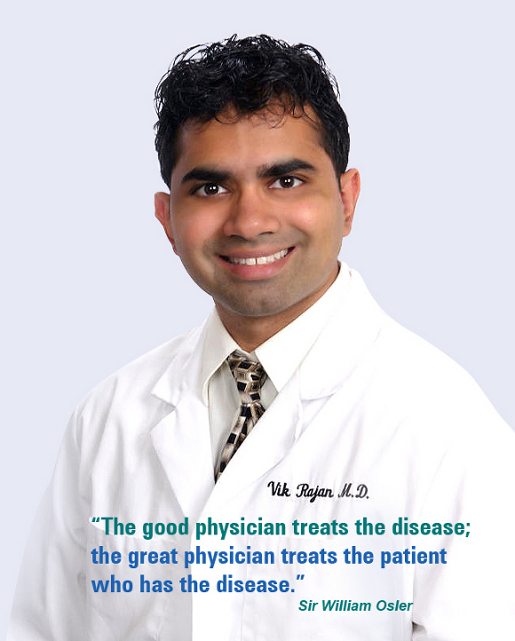 Vik Rajan, M.D., is the president and founder of Houston Patient Advocacy, board certified in internal medicine, pediatrics, nephrology, and integrative medicine (ABPS), and a dual Diplomate of the American Board of Integrative Holistic Medicine and the American Board of Integrative Medicine. (Click on “RESUME” for details.) 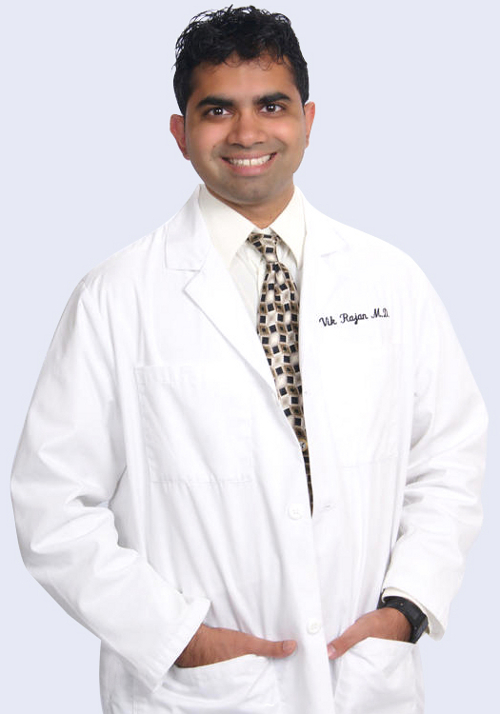 He also personally serves as a private patient advocate, integrative medical health coach, and billing advocate for his clients, and has his own clinic (Dr. Rajan’s Concierge Wellness) for those needing concierge integrative medicine and primary care, with a focus on nutritional medicine (i.e. the use of dietary modification and nutraceuticals to decrease chronic disease and excess weight and reduce the need for prescription drugs and medical procedures). 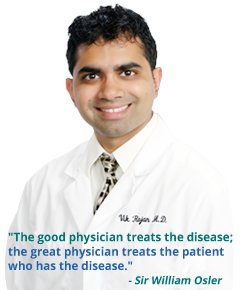 Dr. Rajan started this practice based on his experiences during his medical training years of advocating for his mother’s health during the last eight years of her life. To learn more about this story, click on “HPA’s INSPIRATION”. Over the years, HPA has expanded to include other experts wanting to help individuals with their health care needs. To learn more, about HPA’s team, click on the names listed below. Brenda Rajan has served as the bookkeeping manager of HPA since its inception. Her background is in finance, and she previously served as a bookkeeping manager for Action Limousine and Allied Waste. Additionally, she is the lovely wife of Dr. Rajan and mother of two beautiful daughters. 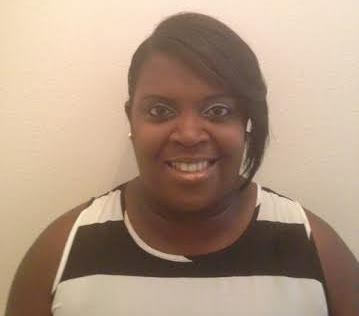 LaKeisha joined Houston Patient Advocacy in July 2014 as a medical billing and claims expert, and has been helping individuals with their health care billing and insurance problems since then, saving them tens of thousands of dollars. Prior to joining HPA, LaKeisha Hall demonstrated success in the health care field as both an administrator and consultant for over 14 years. In that time, she worked with multi-specialty practices, primary care, and ambulance providers. LaKeisha used a very hands-on approach to the daily operations of these organizations and developed proven strategies in the management of billing, personnel, budgeting, marketing, contracting, accounts receivable, accounts payable and strategic planning. She is also the founder of NXL Billing which, since 2009, has provided medical billing and consulting services to physician groups, ambulance providers, home health, and hospice agencies looking to improve their revenue and cash flow.